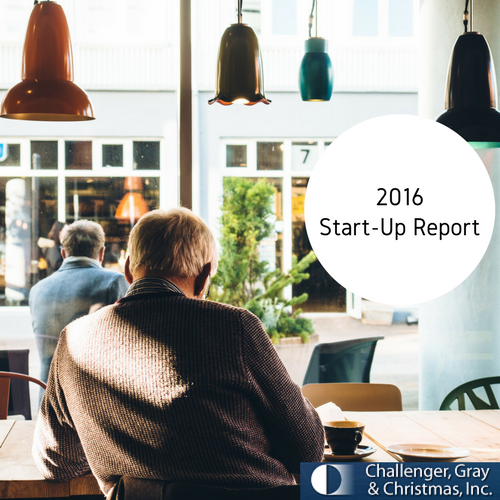 Entrepreneurs | Challenger, Gray & Christmas, Inc.
Emboldened by favorable employment conditions and the continued availability of low-interest credit, the percentage of job seekers starting their own business increased to a four-year high in the final quarter of 2016. Improving economy not leading to surge in self-employment. 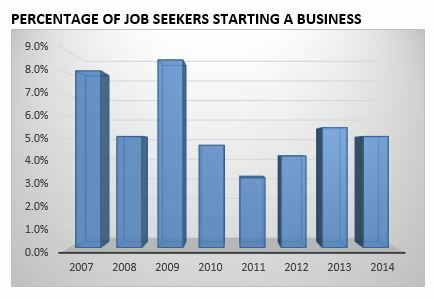 On average, just 5% of out-of-work managers and executives started their own business in 2014. Government data reveals similar ambivalence over entrepreneurship.